Lewen Wei earned her bachelor's degree in editing and publishing with a minor in computer science and technology at Wuhan University, where she earned an award as the outstanding graduate of the university. 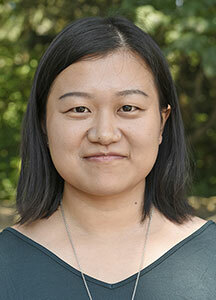 She came to Penn State as a master's degree student and devloped an interest in media effects and health communication. As a Ph.D. student, Wei intends to further explore how to promote health behaviors through interactive media, and strengthen research methodologies. Fun fact: As a fan of crime shows, Wei feels like she is a real-world example of the cultivation theory.